“The humble shall be exalted” –St Gemma suffers humiliations at the hands of her family and friends. 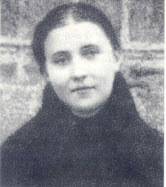 When the extraordinary graces began to appear in the life of St Gemma, her family and relatives did not recognize or appreciate the hand of God working in Gemma. Surely God foresaw and even arranged this to keep Gemma humble, and also to give her opportunities to exercise her humility, patience and other virtues. In fact we shall see in the writings below that some of them were at times quite cruel to Gemma, and at times had little sympathy for her. 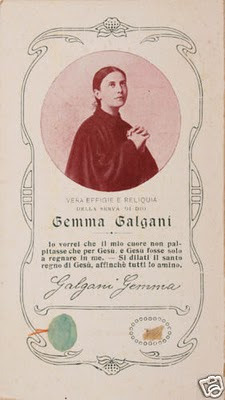 We read in a letter from Gemma to her confessor Monsignor Volpi, dated November 1899 that one evening her aunt had charged into her room in a fury, shouting that since little Giulia was not around as a shield, now was the time to end all this nonsense about her “bleeding stigmata”. “Maybe a beating shall do the trick” the aunt screamed, as she grabbed Gemma by the neck in a choke hold and began to rip away her dress so she might see the wounds for herself. Surely by the grace of God her other aunt providentially arrived, ended this threat, but only momentarily. Later, as Gemma was about to fall asleep, the angry aunt returned, fulminating that she “was not as easily deceived as Monsignor Volpi” and insisting that Gemma tell her where the bleeding came from and why it came. Amidst her uncontrollable crying, Gemma answered that her brother's blasphemy was the cause. "What! Blasphemy causes you to start bleeding?" "Yes," Gemma responded, "I see how much Jesus suffers from blasphemy, and I suffer with Him, and my heart suffers, and then blood comes out." The aunt regained enough calm to continue her interrogation: "Is it only your brother's blasphemies that cause you to bleed, or is it everyone's?" and Gemma replied "Everyone's, but with a big difference--his make me suffer much more! In saying this, I wept bitterly, and she left me"
The next morning the somewhat humbled aunt asked only that Gemma “keep the incident quiet, and that she could stay with Cecilia Giannini if she wished, just that she come home on Sundays." It was in fact Cecilia Giannini, through the help of Gemma’s friend Palmira Valentini, who ultimately rescued Gemma from her plight of the familial difficulties, as Gemma began to spend more and more time Aunts in the Giannini home, away from her aunts. However, she would suffer much more at the hands of her relatives before this would happen..
‘There are my aunts who I think are becoming very bad because they say I like Palmira and Mrs. Cecilia more than them; last night when I was brought home, one of my aunts took me by the throat and put me in front of the cross and wanted me to swear that it was I who told Palmira all of what had happened to me. [apparently her Aunts were upset that Gemma was revealing the graces that she had been receiving from God to Palmira and Cecilia, and not to them] “I responded truthfully, that I would suffer whatever rather than tell them anything because when they had been with me in church I sometimes would drift off [in ecstasy] and they abandoned me, or else they awakened me with a smack on the head, saying they were afraid I was out of my mind." So, we can see once again that life at home was at times a suffering for Gemma. But there were more to come. Another time, Aunt Elisa complained about having to scrub blood stains on the floor in Gemma's room. When Gemma told her aunt not to worry about them, that she would take care of them, and not to bother to come in for cleanup, her aunt starting smacking Gemma on the head, in public no less, as they walked down the street. "Monsignor, listen: I am almost in despair. Angela knows everything about me. [Gemma’s younger sister] This morning she spoke about my affairs as if they were nothing and my brother along with her made fun of them. I am not the least afraid of their ridicule, you know. But from 11:00 this morning until this hour, which is 3:00pm, she has not left me alone. She says that she wants to see everything. She seems almost like a little devil. My aunts laugh at these things and I have a great desire to weep. She has even brought her companions from school into the house saying to them in order to make fun of me: 'Come, let us go and see Gemma in ecstasy.' And yesterday evening in front of the house she repeated these words in a loud voice." Finally, as time went on, through the grace of God she eventually came to live with the devout Giannini family full time. But, to purify His servant, and to keep her humble, God allowed the extraordinary graces in her to be misunderstood even here, for a time. And it was the devil whom He allowed to play a part in the misunderstandings, scorn and contempt given to Gemma by those dear to her. ... Do not be afraid, Father, the authentic letter is the one that you have in your hands. Do not give it to anyone; that is what Jesus wishes. But whatever happened after that letter was written, I do not know. Everybody since this affair treats me with severity. Before, they believed that there might be something good in me and showed great regard for me; now they think differently. Now there is left to me only Jesus, and Jesus alone. Monsignor is very much disturbed about the matter, so that he will hardly hear my confession. He says I am a liar as the devil is a liar; he tries to keep me from receiving Communion, and says if I continue to sin, he will forbid me to write to you. I refrain all I can from speak¬ing of you in confession because Monsignor tells me that it is extraordinary that a priest like you would have believed me so readily and have succumbed thus to the devil. Nevertheless, let us thank Jesus together, Father, for this trial. Today after Communion I asked Jesus to explain the mystery to me somewhat, and he said: "Oh daughter, now has come the time when your strength will be most cruelly tested, and I will give you whatever grace is necessary for you. Be calm, because I am always in your heart. Blessed be Jesus! How calm and content I should be if my flesh did not rebel, but I shall try to make it subject to the spirit. It is the devil who is at work in me. Yesterday he forbade me to give so much thought to Jesus, and in going to Holy Communion to be like everybody else and not give so much bother to Signora Cecilia; and now that poor aunt [Cecilia] is so afraid that it is the work of the devil, that at night she does not come to see me any more; in the morning she leaves me alone and cares no more for me, saying to me at every word that I speak: "I do not wish to be deluded." Oh, father, this I had already foreseen; what shall I do? If it were not for Mea, [one of the servants] I should be always alone. But then have I really deceived everyone? What will become of my soul? I think of my soul, at Communion, which Monsignor thinks is continually in the state of sin; I die of grief, of grief for the great wrong that I may have done to Jesus. I do not wish to deceive anyone. Pardon me for saying it; but I don't think I deceive as Cecilia, Monsignor, and all the others believe. Help me, I want to be good, I want to obey. Don't keep me here any longer; put me in some place in Rome, near you; I die of sorrow, I don't want to sin any more; I am in peril; I am in peril in soul and in body. I am in Hell .... No one loves me in this house; all are very severe. No one speaks to me any more but Jesus, Jesus is always with me. But if Signora Cecelia is afraid of the devil, what shall I say when I am all alone? Even now I feel myself de¬stroyed, finished. Jesus, Jesus! ... I am alone writing in the study of Signor Lorenzo. Oh father .... Jesus, make me share in your sufferings. Let me suffer lovingly, suffer for you, Jesus, and die suffering. What if I be deprived of Jesus? Oh Jesus, have I really lost your grace? But even in the midst of so much unworthiness I love you fervently. 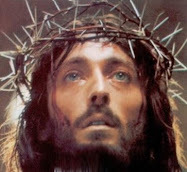 I shall die, Jesus, I shall die but for love of you. Father, I take courage; the smaller I feel myself to be the more I feel the love of Jesus, His love inebriates me . . . though Cecelia and the others do not love me. I remain alone; Father, do not leave me here alone. “Be assured that the letter which I have in my hands is not trickery. And be sure that soon light will be shed upon that which is in Monsignor's hands. To Gemma, then, do not be reproachful; be with her again affectionate and loving. Believe that Jesus is in your house in her person. For now, tell her she is to refrain absolutely from writing to me (without, however, letting her know that I said it.) If she has something to say to me, let her tell me directly through her Angel or mine. If it is Jesus who has given you, Gemma, this humiliation, who are we to say, "Why have you done this?" I should be very much disturbed therefore, if dear Gemma is distressed about it. It would be a dreadful sign of pride. Oh, do we not merit worse for our sins and ingratitude and lack of correspondence? In regard to strength, if we are humble, Jesus will give us a great deal. In another letter to Father Germano Gemma writes how her confessor, Msgr. Volpi, had grown very doubtful of her, calling her “deluded and full of fantasies”. 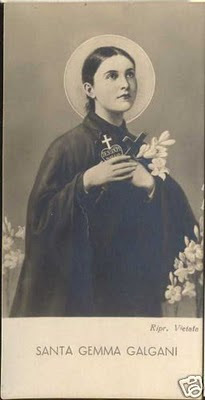 Monsignor even threatened to withhold Holy Communion from her on several occasions, which would be a “spiritual death blow” to Gemma, who so ardently longed for Jesus each day in the Eucharist. Having failed in his first attempt, the devil planned anew. Gemma tells us the devil is unchained and thinks to work havoc in the mind of the Provincial of the Passionists concerning Father Germano. “....And the devil, Father? How I fear him! For fifteen days I have not been to confession. Monsignor is away and returns the ninth of September; and I am in dark¬ness. I sin constantly and yet Jesus does not weary and still supports me. Father, the devil is unchained. Woe, to you, and to Father Provincial. The Monsignor said he will act soon. If Jesus is satisfied, it matters little. About Monsignor you will learn from Father Provincial . . . but I tell you again the devil is unchained. Would it not be better, Father, if you sent for me to be at home near you; here what will happen to me? Everybody, together with the devil is against you and me. But Jesus, Jesus is with us. Bless me always. Father Provincial did not pay any attention to this anonymous letter; he told Gemma to continue writing her autobiography. 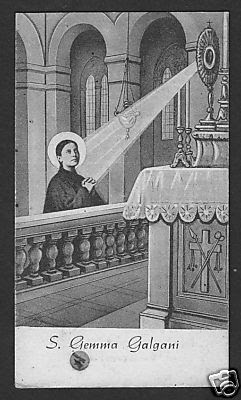 This anonymous card Father Provincial put in an envelope to send to Father Germano, and he told Gemma to have it taken by the angel. Jesus said that from this card Gemma would have a thousand humiliations. Since the enemy obtained nothing with this card, he tried something different. He put a letter in the room of Father Provincial, written apparently by Father Germano, which said that he was going to abandon Gemma at once; that he had had sufficient illumination from Venerable Gabriel to know that she was a hypocrite; and that he would tell Monsignor to keep her from going to Holy Communion; that he would tell Monsignor to send her away from the house if Cecelia did not want to ruin twelve innocent souls. 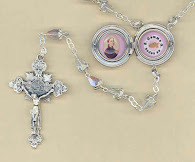 Signora Cecilia tells of the efforts of the demon to discredit Gemma with everyone, even with her, but she assures Father Germano that she resists the temptation by running to Jesus in the Blessed Sacrament. She also says that she knows that she is unworthy to be the guardian of Gemma, that she loves her constantly more and more. "Yesterday evening I received two letters, one from you, the other from Gemma, both posted the 4th and carried first to Corneto and then to Isola, then again to Corneto and finally they came here. I have had no letter as yet from the Father Provincial. I have written to him once only when he was in Florence, but not of Lucca and not even mentioning you or Gemma. Thus it is proven that the evil one has written the two famous letters. I do not marvel at all at this conduct of the enemy; in fact I hold it as a good sign. God desires expiation and therefore permits the devil to scourge us. You do ill to distress yourself. Do you think God is afraid of the devil? Or does not know how to be a faithful spouse to the souls he loves? Woman of little faith! Certainly prudence is necessary, for the enemy is astute. But with faith in God, with prayers together with prudence, we shall overcome. 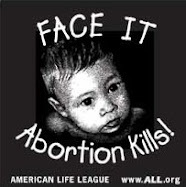 I shall give you further counsels if I hear from Father Provincial .... Have no fear, Sister, God will aid you. The devil has no power over us except that given by Jesus...."
We can only imagine how all these things must have wounded the tender heart of Gemma, for she so loved Monsignor Volpi, since he was her confessor since childhood, and also of course she loved her brother, sisters, aunts and Cecilia Giannini---all of whom to various degrees and at various times wounded her with hurtful comments, painful doubts, misunderstandings, scorn and contempt. Yesterday [Friday] around 4:00 a desire came upon me to unite a little more with Jesus; I tried and immediately united with Him. To tell the truth I was very reluctant because I felt tired and without strength; I found myself once again before Jesus. He came to my side but He was no longer sad like the night before, He was happier; He caressed me a little and then happily, very happily He lifted the crown from my head (I still suffered a little, but less) and put it back on His head, and I no longer felt any pain. My strength immediately returned and I felt better than before I had suffered. Then Jesus questioned me about various things and I told him not to send me to confess with Father Vallini, to whom I do not want to go; then Jesus got serious and a little angry and told me that as soon as I needed, I should go to him. I promised, and I shall go willingly. I always had so many things to tell Jesus and I felt that little by little He was leaving me, so he promised to return a bit later, during evening prayers. Then he was even happier than usual; He opened his heart where I saw two words written that I did not understand. I asked Him what they said and Jesus answered: "I love you so much because you resemble me so." "In what way, oh Jesus," I said, "since I see myself so different from You?" "In accepting humiliation," He answered. Then I understood everything well, and my past life returned to mind. A big fault had always been my passion-- pride. When I was little, wherever I went everyone said that I was full of pride. But what methods Jesus used to humiliate me, especially this year! Finally I understood who I truly am. Jesus be thanked always. Then my God added that in time he would make me a saint (here I don't say anything because it is impossible that what God said could happen to me).